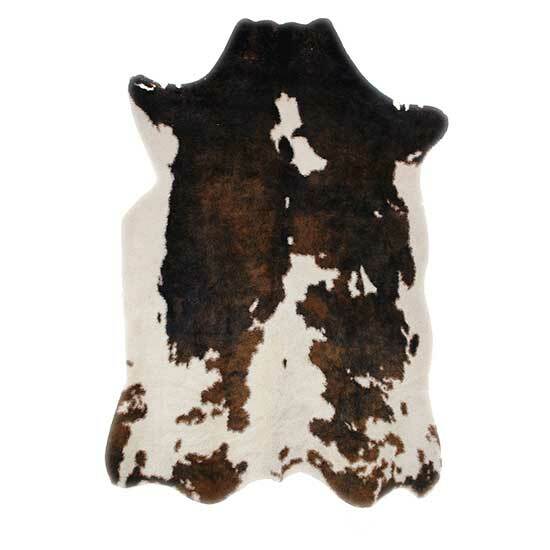 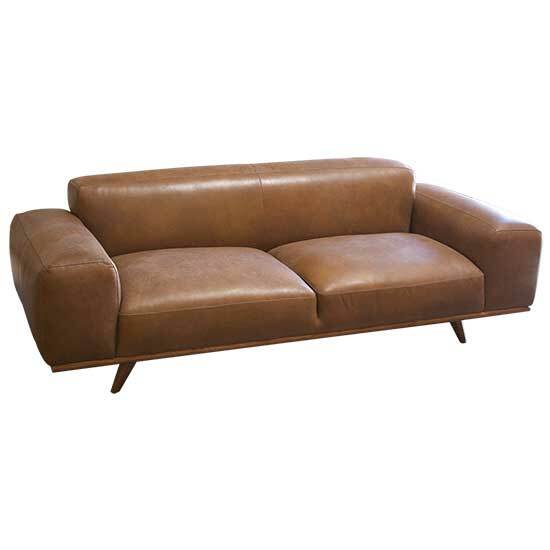 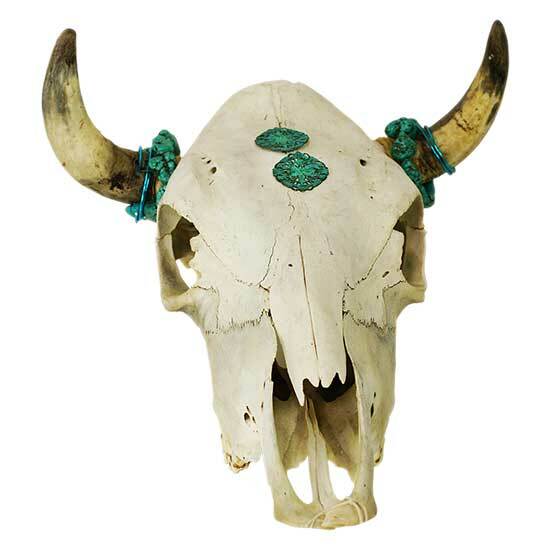 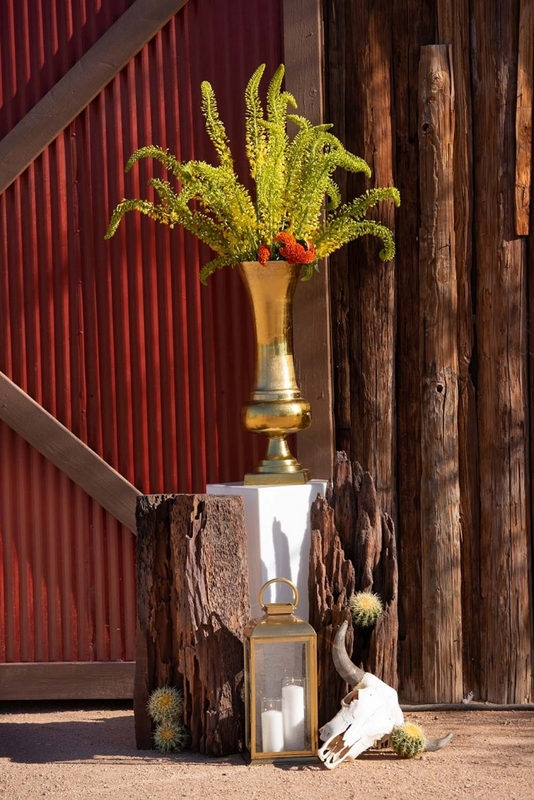 Contemporary design meets Western design with a hint of glam. 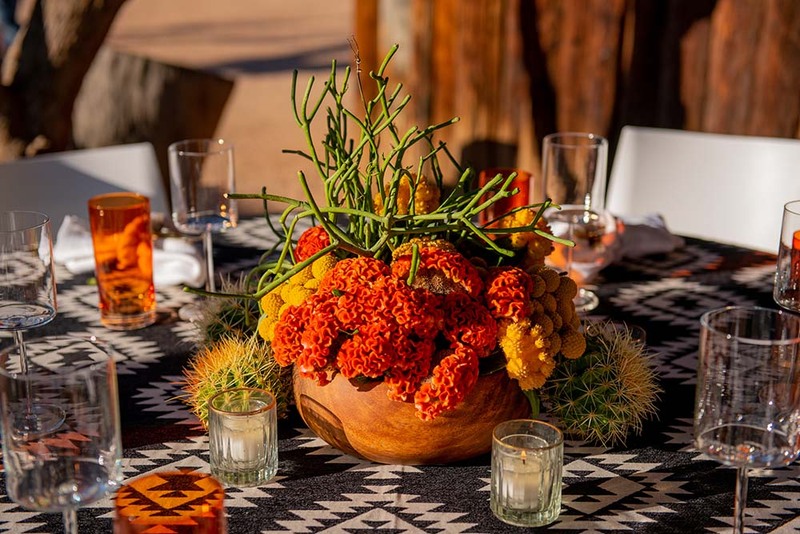 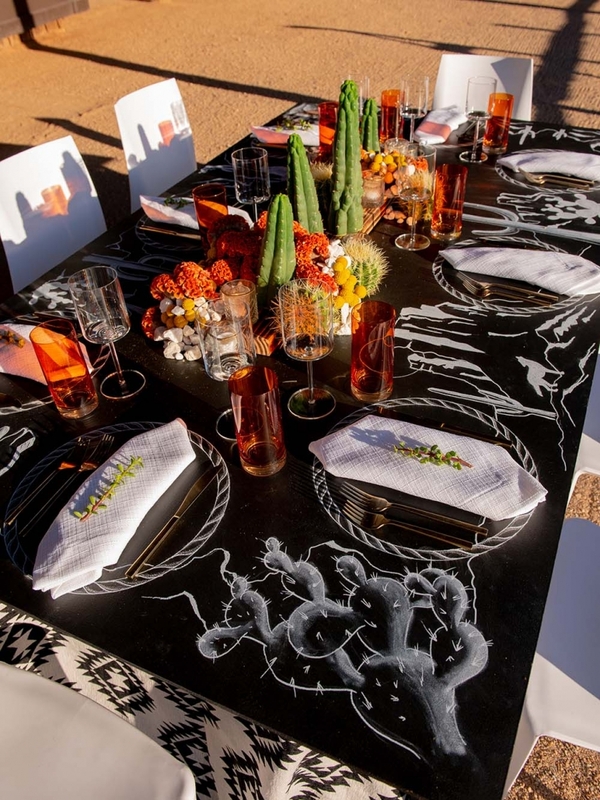 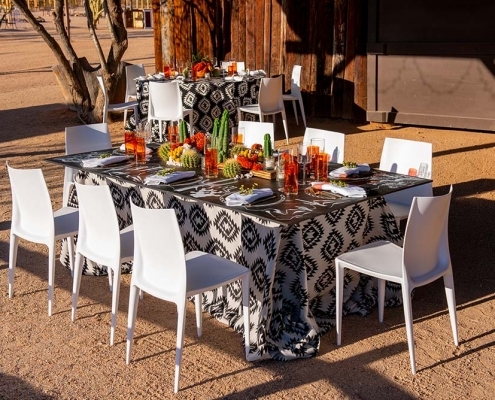 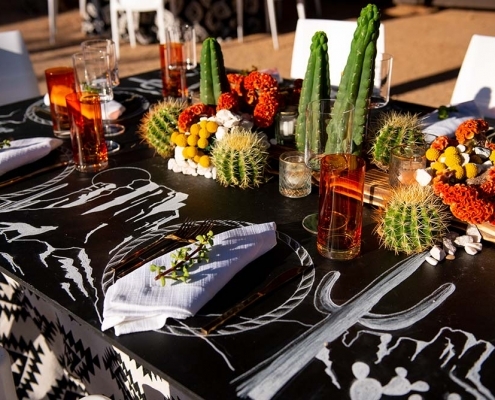 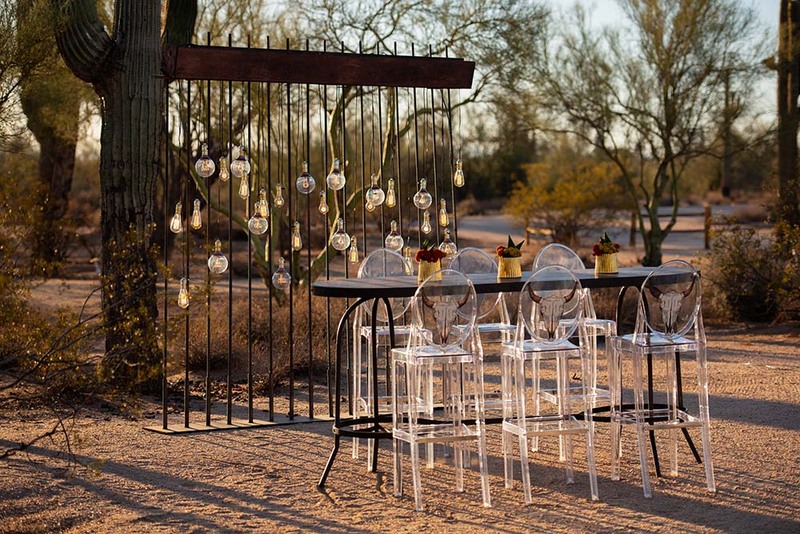 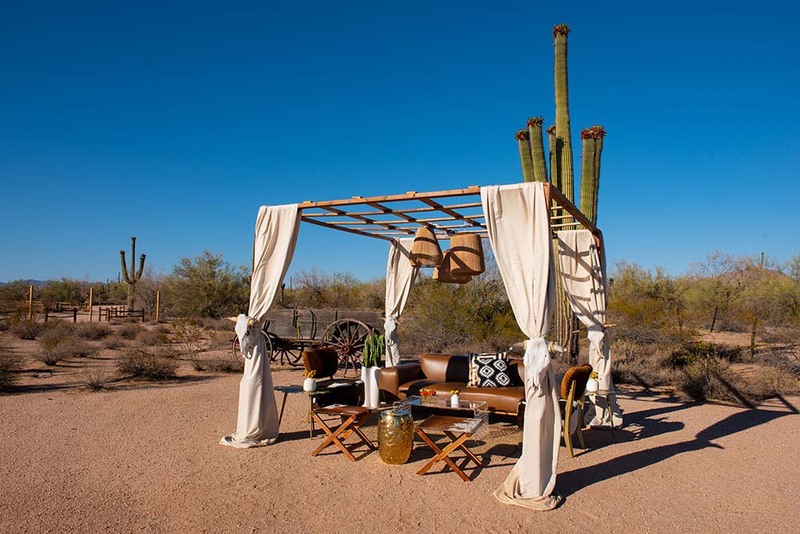 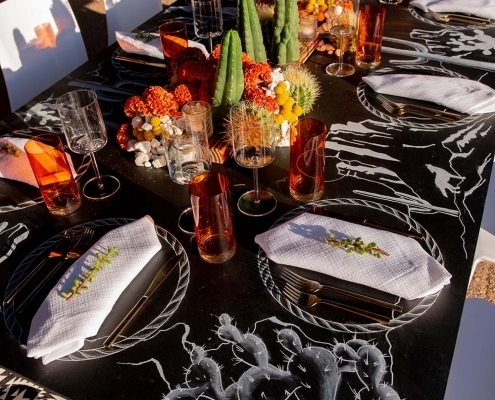 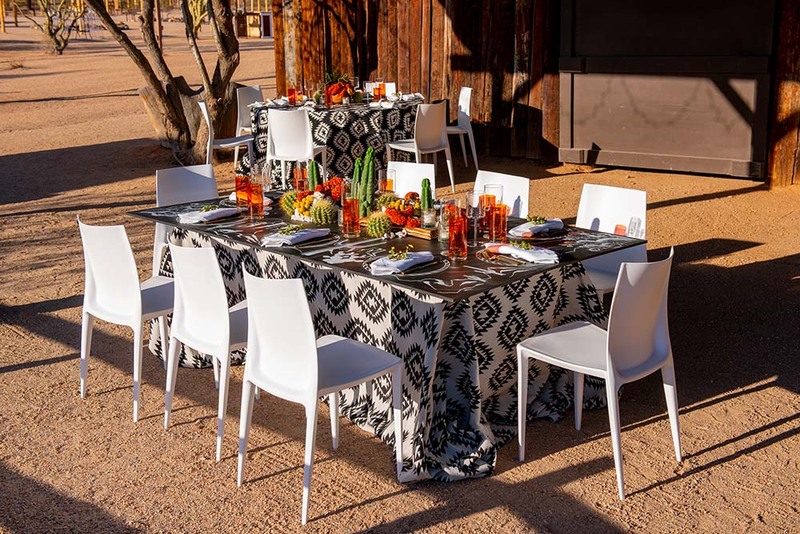 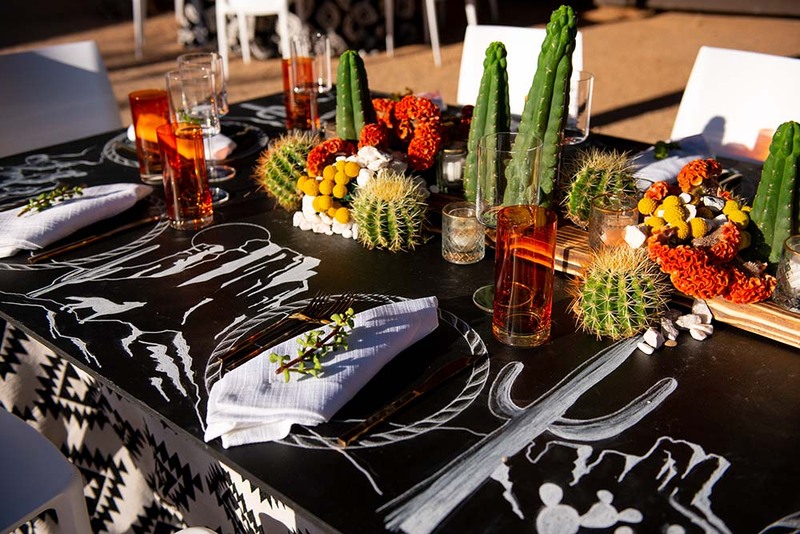 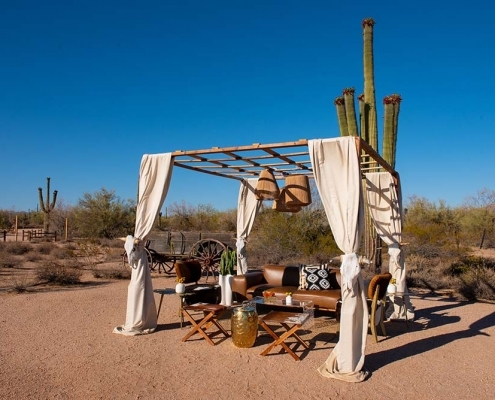 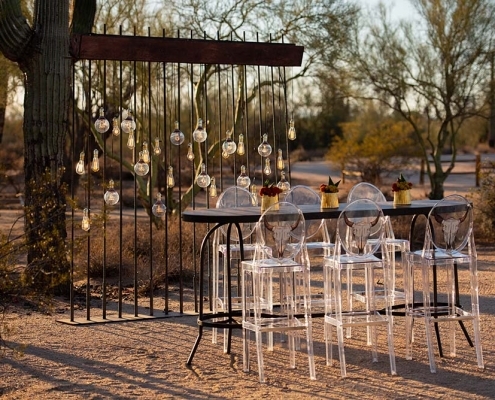 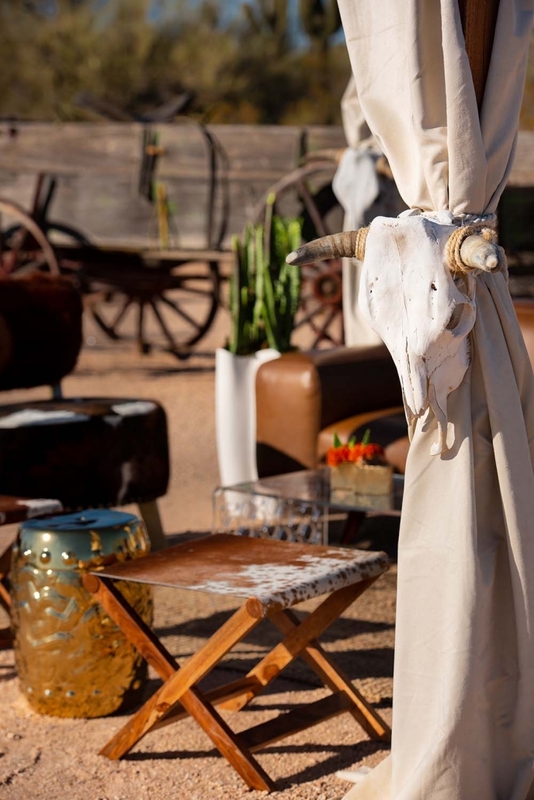 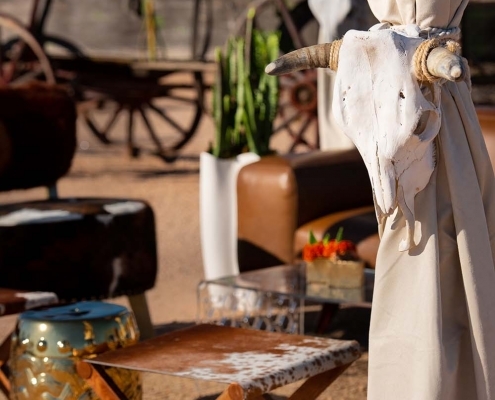 Featuring a hand-drawn desertscape on a chalkboard table with high contrasting elements including black and white Aztec linens, white chairs and orange glass ware. 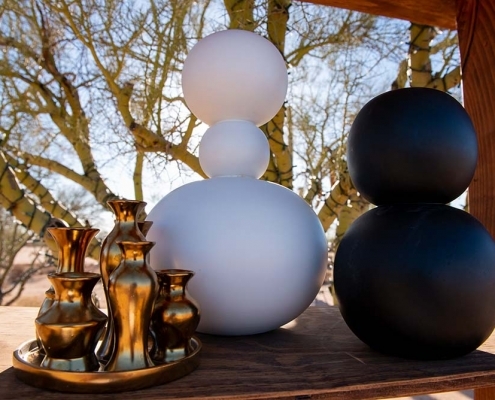 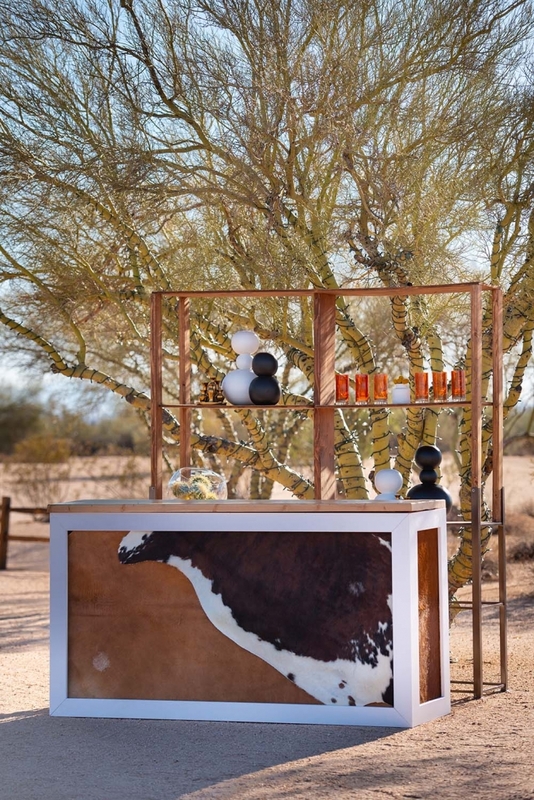 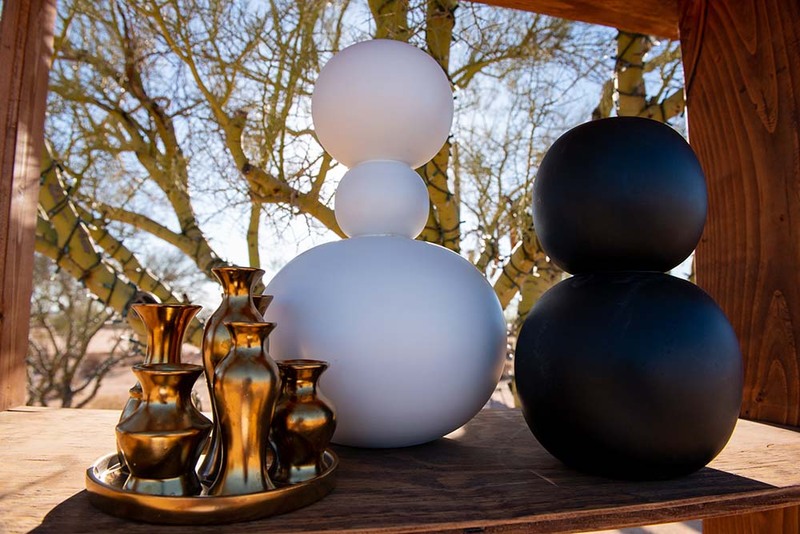 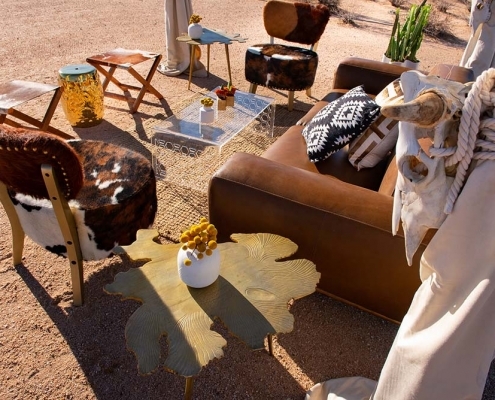 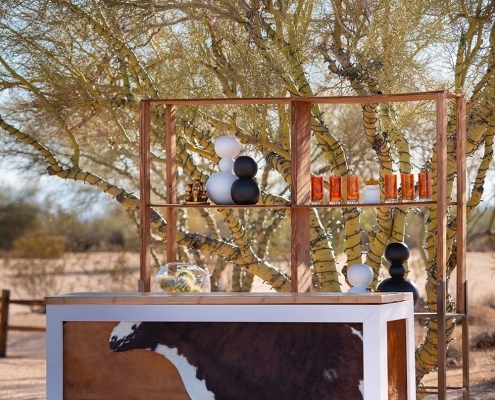 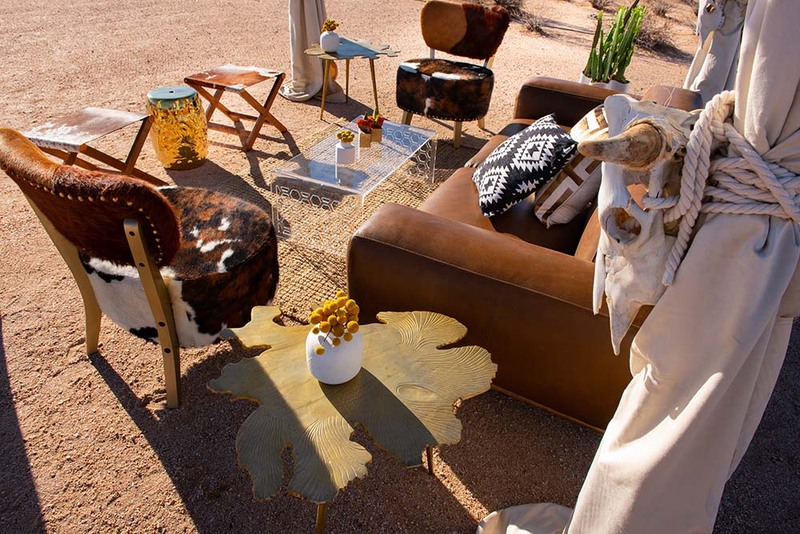 Touches of acrylic and shiny gold accents distinctly emerge from the desert surroundings. 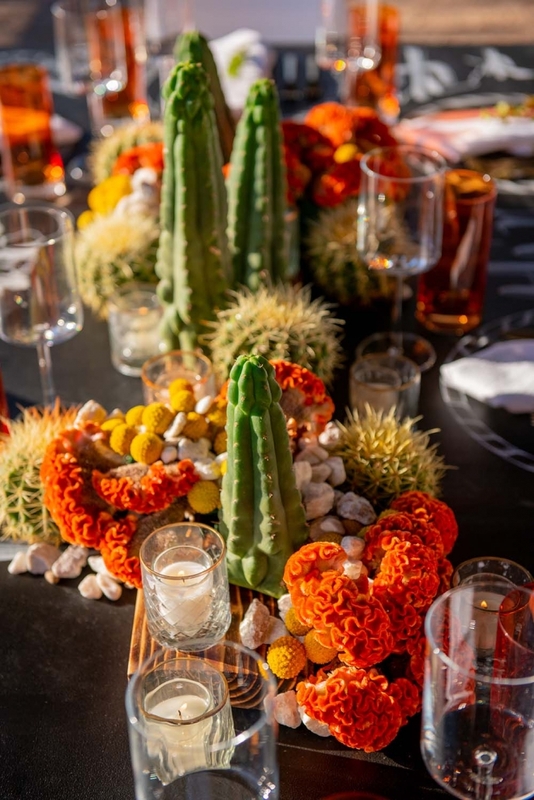 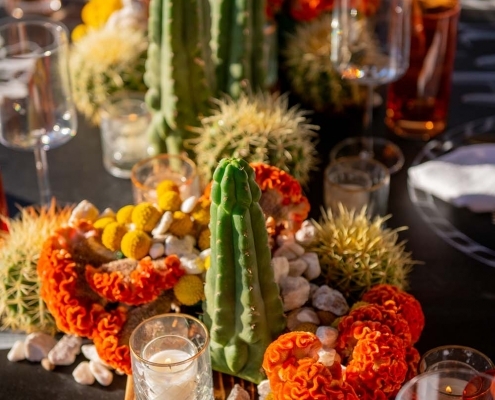 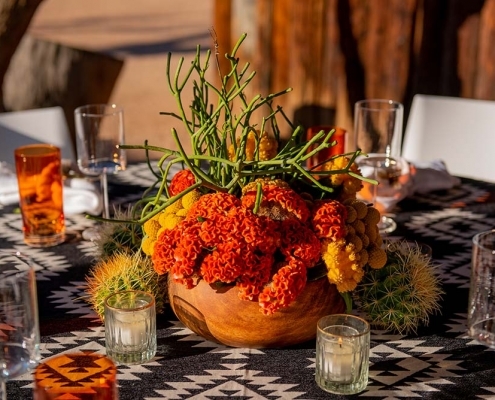 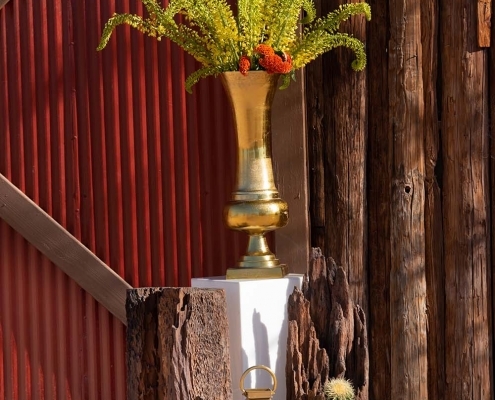 Bright orange cockscomb arranged with assorted cactus complete this luxurious table design.